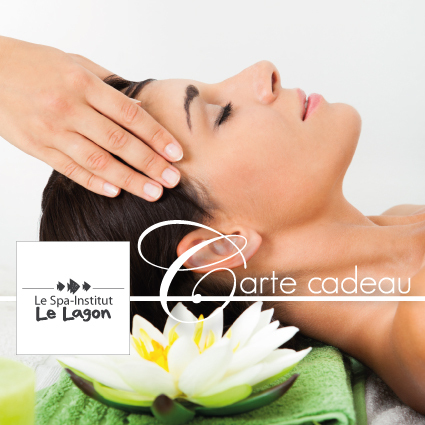 An oasis of tranquillity, the Spa Instiuit Le Lagon is a haven of relaxation and rejuvenation. Located just steps away from Anse Vata beach, in the heart of our hotel and between our swimming pool and sauna. 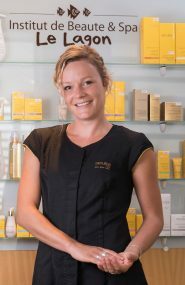 In a sophisticated and intimate setting, dedicated to the well-being of body and mind, our beauticians are trained in traditional and relaxing massages with a wide range of treatments. This multivitamin treatment with 100% natural essential oils reveals the good looks and radiance of your complexion for radiant, luminous and radiant vitality skin. After having your personalized beauty diagnosis, your beautician will define, with you, the Essential care best suited to your skin type. Precision care for an expert response, based on the power of essential oils and concentrates of powerful and natural active ingredients: an in-depth action and the guarantee of increased efficiency. A skincare range with highly targeted active concentrates and properties known to benefit the most demanding skin, sublimate the skin at any age and preserve the youth. This specific care of the eyes intensely moisturizes, smoothes, relaxes and smooths the wrinkles and fine lines of the eye contour. + A body mask enriched with coconut pulp and Kaolin with exceptional nourishing and plumping powers. Let yourself be surprised by our new selection of the moment: exfoliation, body mask and massage with scented oils that will charm you through the seasons. Intensive slimming draining care to find well-being and lightness. The contours of the body are refined, the skin is smoother and more comfortable. The anti-aging body treatment par excellence, which acts on the density and tone of the skin, but also on its elasticity. Firming and regenerating, it gives back to the body its firmness, to the skin its suppleness. With Essential Oils of Immortelle, Incense and Chamomile. A freshness ritual composed of a scrub, an icicle mask and drainage for legs in all lightness! A purity ritual consisting of a toning exfoliation, then a clarifying mask to find a clean back without imperfections and a relaxing massage specifically developed to release the tensions of everyday life. 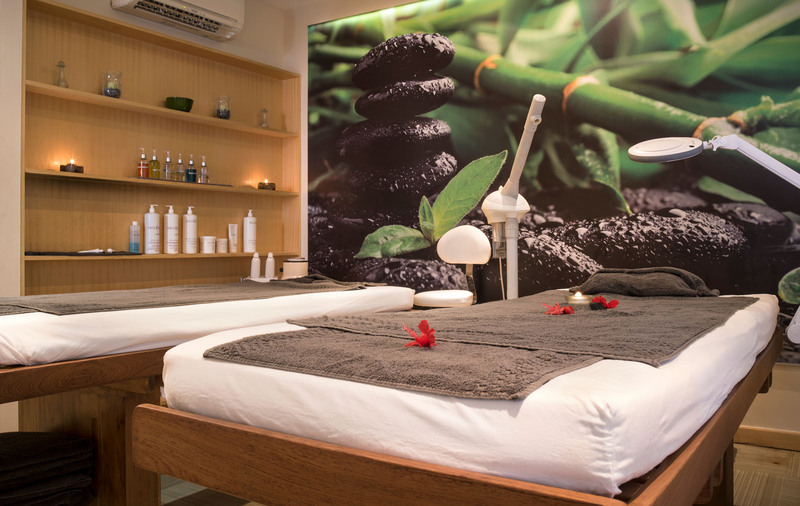 An aromatic touch at the beginning of the treatment to encourage relaxation, followed by a back massage, a complete ritual of sensory exfoliation for the body and a mythical Aromaplasty treatment for the face. We offer you in our ritual Oressence Energy: the hair removal-maintenance of your eyebrows and the down of the upper lip and, to enhance the radiance of your skin, a beauty at the end of your care. A harmony of scented and relaxing oils for a great moment of well-being and relaxation. Alternating sliding pressures, effleurages, fluent and harmonious gestures for an absolute relaxation and an infinite pleasure. True invitation to travel, this massage will open the doors of relaxation and serenity. It combines softness and light touch with wide, fluid and enveloping movements. The modeling candle diffuses scents with relaxing virtues, offering a creamy and warm oil that will nourish your skin deeply. This ancestral aromatic massage is made with precious spices ballotins heated by steam and bathed in an oriental oil. The subtlety of its exotic fragrance and exquisite warmth will rebalance your energy flow of body and mind. Using authentic tiger clams, the hot shell massage invites you to escape and relax. This massage technique dissolves muscle tension, soothes the nervous system and promotes better blood and lymphatic circulation, a moment of pure well-being. The Abyhanga is one of the oldest massages in the world, resulting from an Indian wisdom of more than 5000 years: Ayurveda. Our ritual will first focus on discovering your “doshas”: Vata, Pita or Kapha that will punctuate your modeling. Traditional massage soft and deep, it will allow you to evacuate fatigue and stress. Kansu Bowl Foot Care will help you sleep and bring you peace and well-being. Spice tea with dried fruits will be offered at the end of your treatment. A relaxing break, a relaxing massage on one, two or three zones according to your desire of the moment. This traditional Indian massage from Ayurveda stimulates the reflex zones of the foot and rebalance the fire element of your body. This relaxation ritual will bring you relaxation, soothing, improved sleep and your vital energy flow. Reveal the original beauty of your hands and feet with this nourishing, regenerating and innovative treatment: single-use gloves or slippers, pre-filled with a paraffin infusion containing a complex of 11 vitamins and lavender to nourish deep down the fragile skin of your hands and feet. A complete care for nails and sublimated skin that will end with a massage of the hands and forearms or feet and half-legs, followed by a nail polish or French manicure. A complete care ideal for a first manicure or for the treatment of damaged nails. The most effective and durable hair removal is without a doubt waxing. The wax pulls the hair for a result that lasts several weeks. Always for the sake of hygiene and comfort, no wax is recycled in our Spa-Institute. The care that moisturizes, purifies and detoxifies. It retains the features and soothes irritated skin with shaves. Your skin lacks energy, you find yourself tired? Stretched features? Intensive care for pure, clean skin full of energy and vitality. Look good! A relaxing and revitalizing body care to relax intensely and find a clean and comfortable skin. Our massages are well-being and relaxation treatments practiced by our qualified beauticians who are neither therapeutic nor medical and can not replace a consultation with a doctor and a physiotherapist. Compose your personalized gift voucher by choosing from the 40 treatments of our Beauty Institute and Spa lagoon: relaxing and traditional wellness massages, body care, facials, foot care … you will not miss any inspiration to be sure to please.